A hidden oasis, The Residence Bintan is cocooned amidst lush tropical greenery with panoramic views of the South China Sea. The resort is designed in harmony with its natural surroundings, elegantly combining the rural charm of a traditional Asian village with modern luxuries. A place to both unwind and indulge; the 127 villas and terraces provide the lushness of space, giving a new definition to rustic living. Reclaim your equilibrium with bespoke treatments at The Spa by ila, therapeutic yoga sessions or inspiring island adventures. 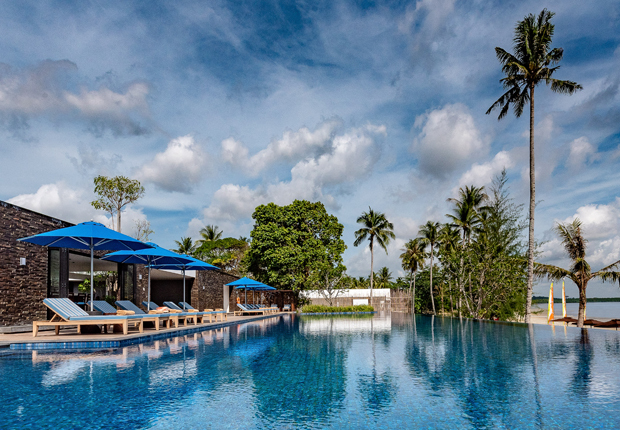 A sublime experience awaits on the south-eastern shores of Bintan Island, just an hour away from Singapore.